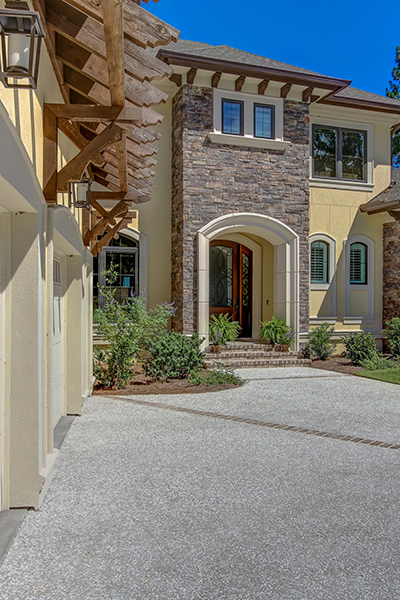 This is a beautiful Mediterranean Style home, with a Stucco exterior and stacked stone details. 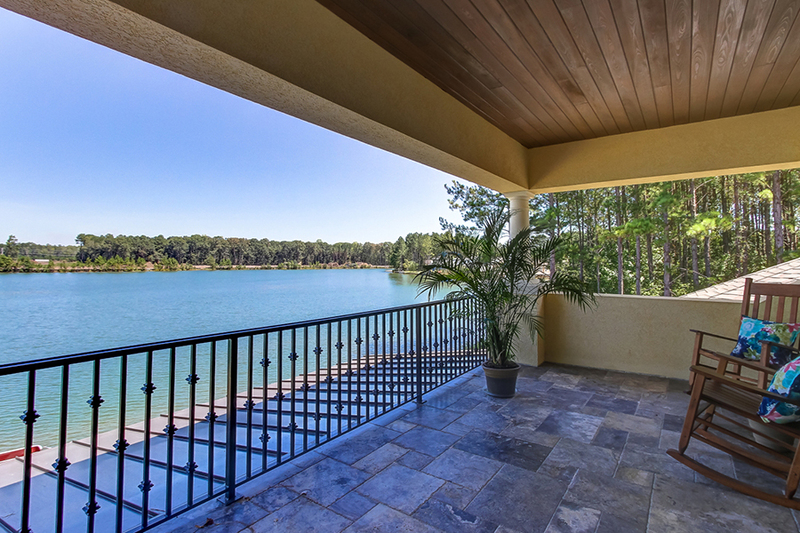 The large screened porch, outdoor entertainment area and second floor balcony are our custom designed finishes! 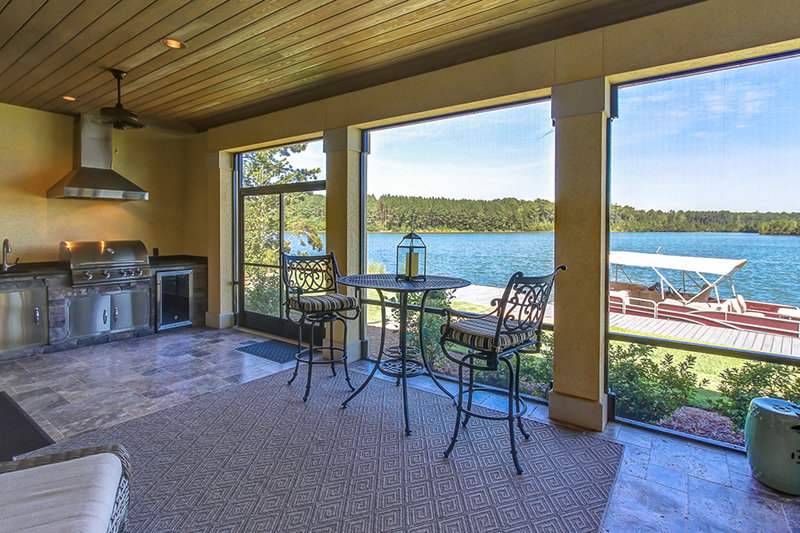 The outdoor entertainment area has its very own outdoor kitchen. 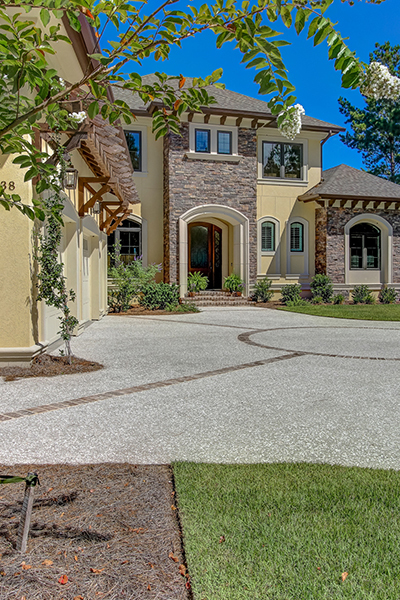 Upon entering this gorgeous home, you’re greeting by marble flooring and a custom chandelier. You then step into the central entry that leads into the living room with an off area powder room, study and master bedroom. 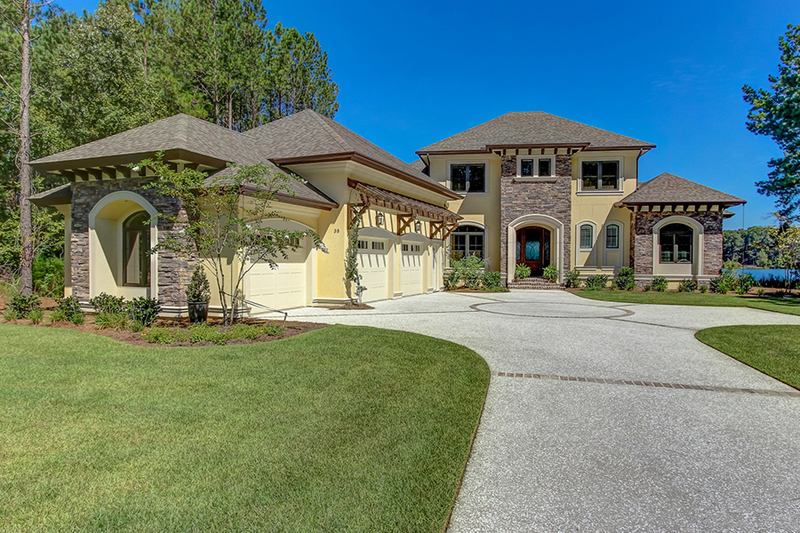 The central entry has a trey ceiling, hardwood floors and crown molding! 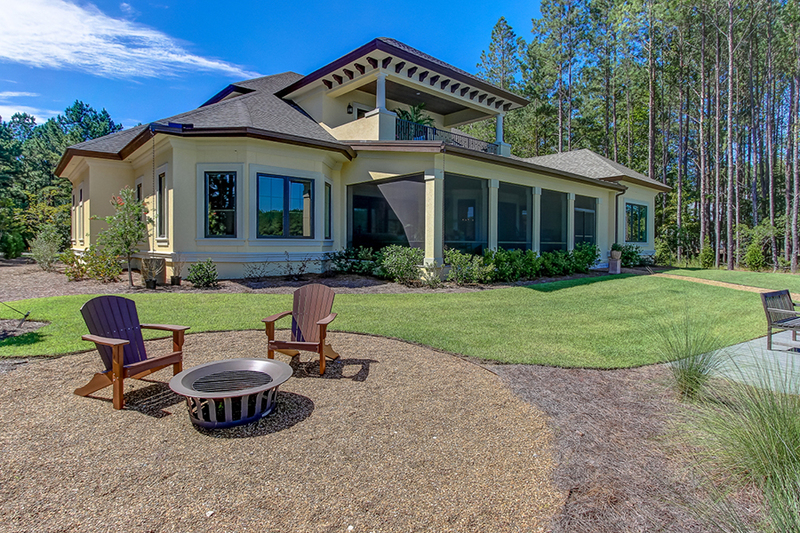 You’ll notice the dark wood french doors and wood beam ceilings immediately. 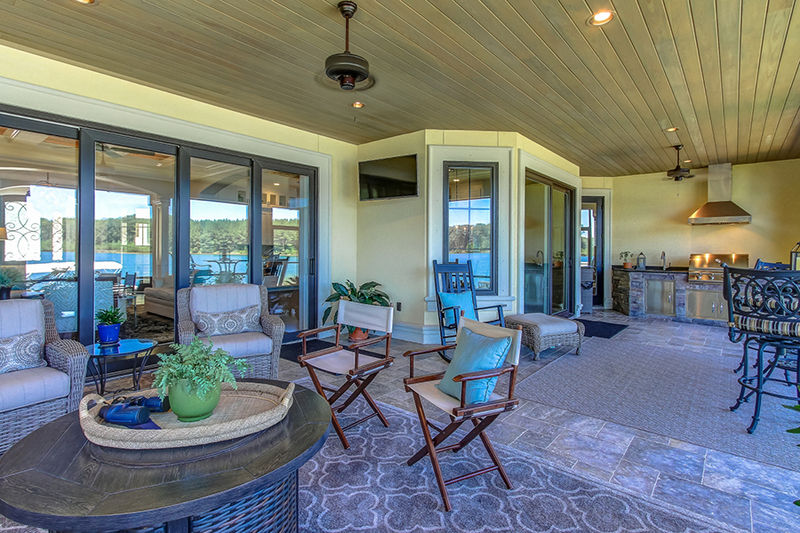 The living room has hardwood floors and a built-in custom designed wet bar. Being this is an open floor plan, the coffered ceiling details and pillars define the living area from the kitchen. This kitchen/dining room has hardwood floors, custom cabinetry, marble counter tops & back splash, and a distressed wood beamed ceiling detail. The large kitchen has a very special surprise hidden behind cabinet doors! You will find a custom designed and built pantry-prep kitchen. This hidden room has hardwood floors, a full size stainless steel refrigerator, dishwasher and microwave. It also has a beautiful full size farmers sink and custom built shelves and babinets. 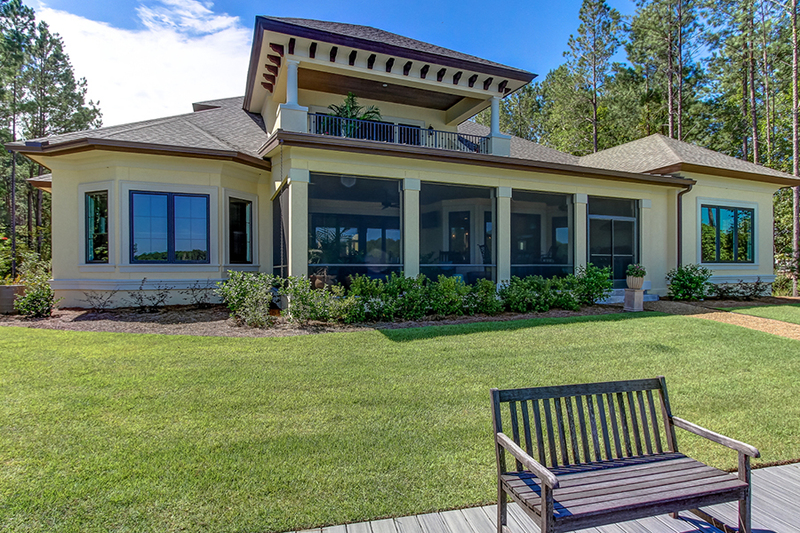 This beautiful screened porch affords the owners a very large and comfortable outdoor living space and outdoor kitchen. Also, there’s a pocket door that opens this space up to the living area.